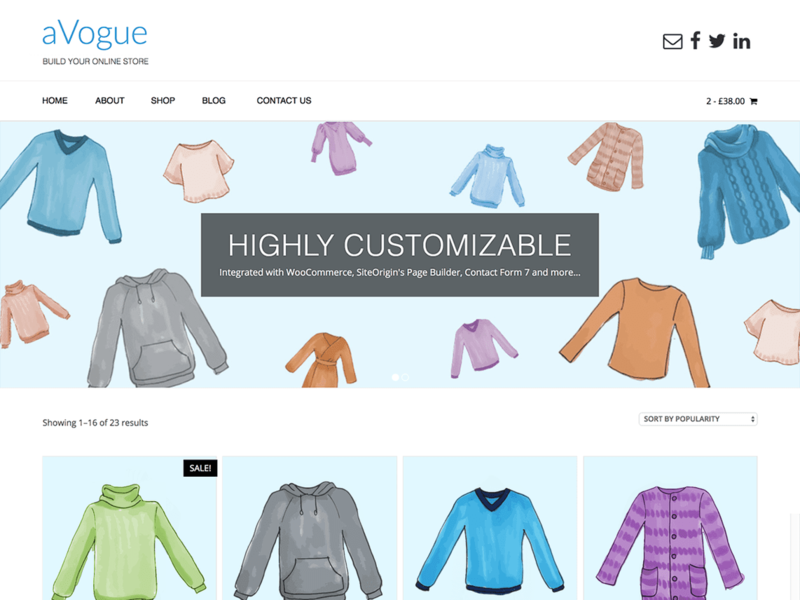 aVogue is a new redesigned look for the popular multipurpose WooCommerce theme, Vogue. Build a professional website or an eCommerce store easily by adding our recommended top plugins from WooCommerce to Page Builders and lots more. aVogue is simple, beautiful, clean but comes packed with a bunch of layout settings, full theme color settings and lots more… aVogue is the theme you want, build easily and professional websites now! Give it a go!